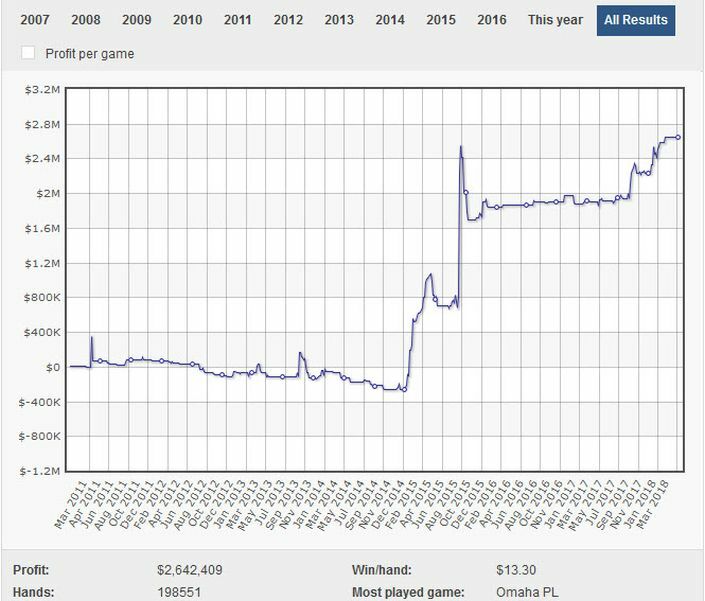 …so what’s the likely story behind the secretive ‘JayP-AA’ and his almost four full years of slightly losing high-stakes play, followed by his crushing the biggest games for $2.64million? Of course, he could quite easily have been crushing the smaller stakes and taking potshots at the bigger games – a common occurrence among those trying to fight their way into the higher echelons, the database only recording results at $25/50 and above, therefore making it difficult to know the full story. 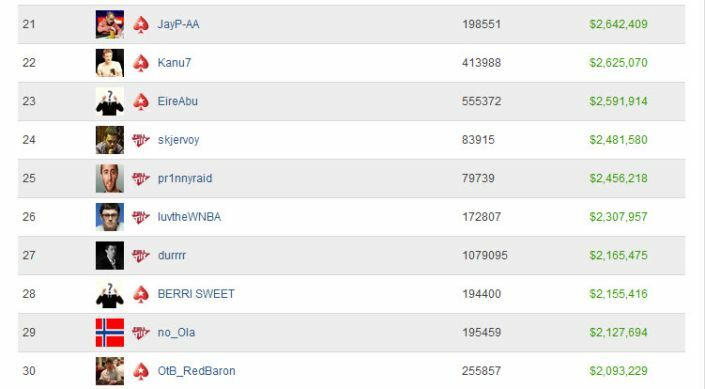 JayP’s live experience doesn’t help us to detect much, a mere 4 cashes across 5 years, his initial $100k+ 3rd spot in the 2013 WSOP $1500 PLO event very creditable, but also not followed up on. Whatever happened in the winter of 2014, JayP-AA came out of the starting blocks like a bolt of lightning in 2015, reaching an impressive $2.55million profit in late Autumn before settling back to a mere $1.7million by year end. Still marked as one among many anonymous players as late on as the start of 2018, JayP’s identity became public as part of a general ‘outing’ this year, several players finally having a face and real name tagged to their online aliases…although many had long been suspected within the community itself. 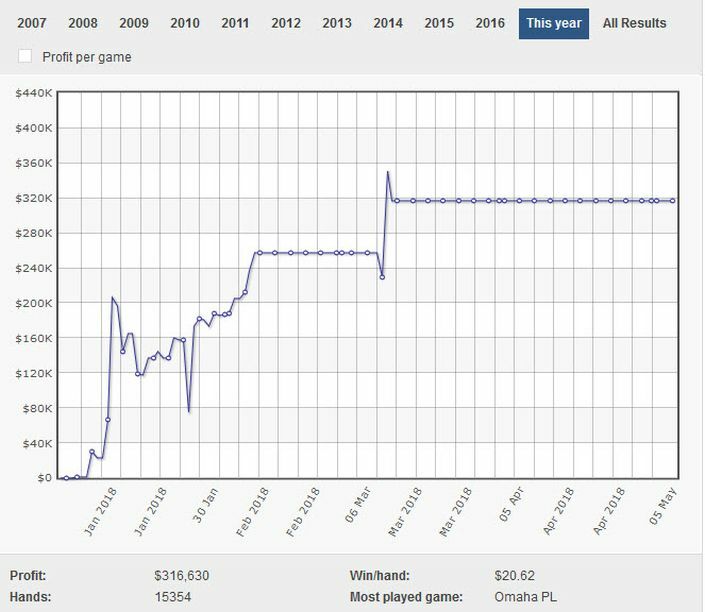 Having fought his way to the upper levels of the high-stakes PLO games with his 2015 breakthrough, our hero managed to keep himself there quite easily – another plateau becoming an upward trend again over the past year or so. What the future holds for JayP is of course unknown, but it’s clear that if the games continue to run he’ll continue to climb – and maybe if he reaches the top of the online PLO mountain we’ll find out just what makes him tick.